Yesterday I had the opportunity to share my leather accessories in Miller Park Pavilion on a beautiful summer evening. 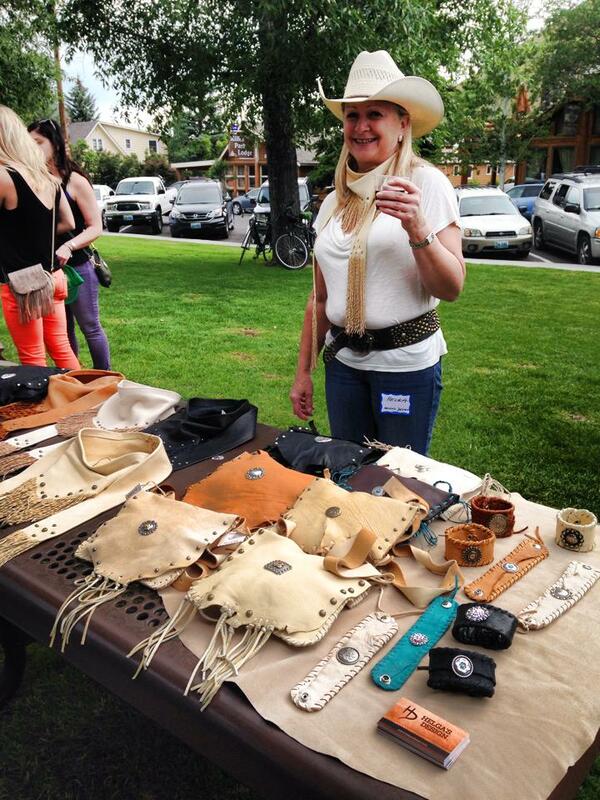 This was my first Trunk Show with Women Who Wine and it was such a fun experience to showcase my new leather accessories with some pretty amazing and talented women in the valley. We mingled, drank wine, and shared our handmade art. Thank you again, Katie Colbert and Jamie Dunphy for the opportunity to share my art with all of you! I have new leather cuff bracelets that are incredibly comfortable to wear and easy to fasten. I handcraft one-of-a-kind leather accessories so let me know if you’d like to see a variation you don’t currently see and I can create a perfect match that fits you specifically. There is more to come for Helga’s Design that I am particularly excited about, so stay tuned..